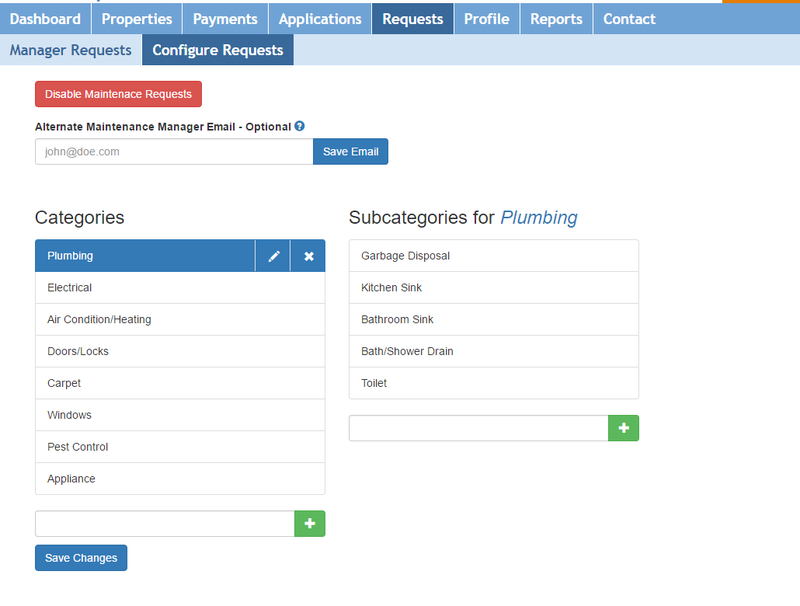 Provide your tenants with a simple method to submit maintenance requests. Tenants are able to submit, track, and update maintenance requests online. Provide your tenants with an easy tool to notify you of maintenance issues. 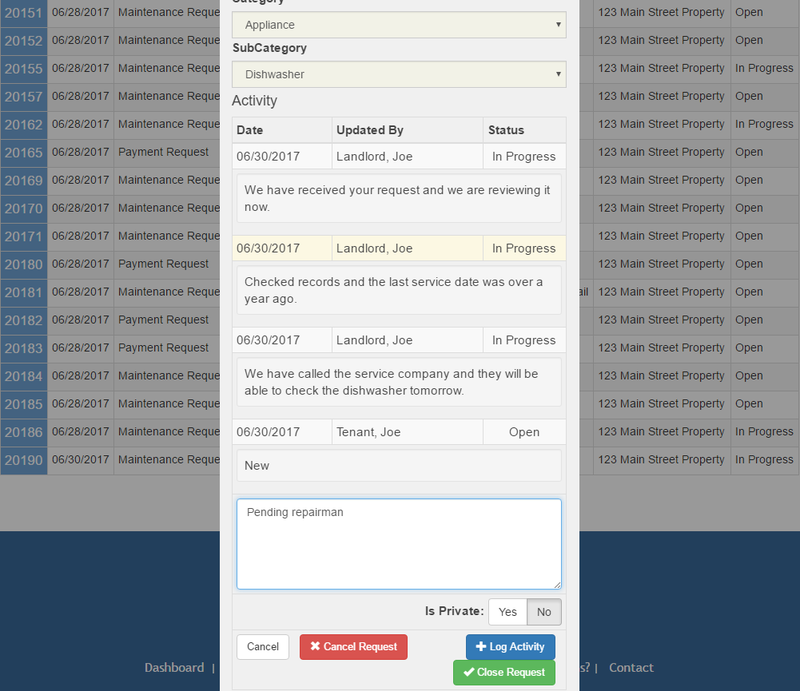 Track maintenance requests submitted by tenants or submit maintenance requests on behalf of your tenants. Your tenants are automatically notified of updates to the request to keep them informed. You can enter Private Notes in each request to record notes regarding the status of the request. 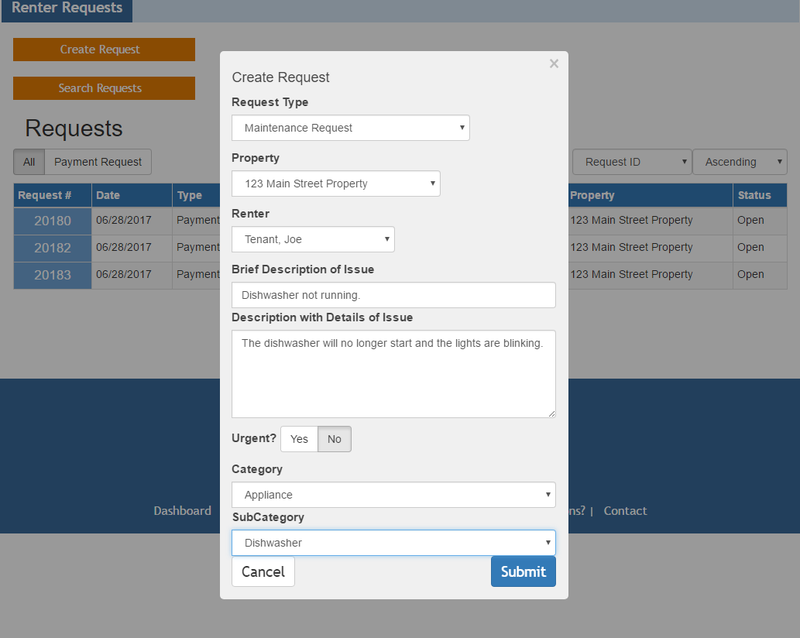 You can customize the category and subcategory options that are displayed to your tenants to more accurately track the types of requests you receive. You can also specify a different email address to receive maintenance request notifications with.